Most people are personally familiar with the fact that diets typically don't work in the long run. Are you? The well-known problem is that, when you go on a diet, you usually aren't committing yourself to controlling yourself forever. You are willing to fight your cravings for a month or two, but, when you are done with your diet, the old demons come back. What if I were to tell you that you can painlessly go on a permanent eating plan? Would you take me up on it? Of course you would! Well, the ketogenic diet is just such a plan. It is a reasonable way to lose weight and keep it off. When carbohydrates are converted into glucose, it goes to cells that require it for fuel. If your sugar levels are too high, then glucose travels to the liver. There, it is converted into glycogen that can be stored. Glycogen is a form of glucose. The glycogen is stored in the liver and skeletal muscles. Glycogen molecules contain a lot of water. Every gram of glycogen is connected to 2.7 grams of water. This water is a component of the structure of glycogen. This water adds weight. So, from water weight alone, you may gain from three to five pounds. Simple carbohydrates, such as white flour and white rice, contain small molecules of glucose. This makes them easy for your system to break down. Therefore, they enter your bloodstream rapidly. When your blood sugar spikes, insulin is released in your body to get rid of the extra sugar. While this is important for your body, you can gain weight from this. If there is too much glucose in your blood, and insulin can't achieve a proper balance by opening up your body's cells to receive it, then it tells your liver that it is time to store fat. After enough glycogen is produced, your liver converts the glucose into triglycerides. These are stored in fatty tissue. Also, it tells the fat cells to stop breaking down the fat that is already being stored. Thus, insulin stops you from achieving weight loss, plus it predisposes you to weight gain. For people who are pre-diabetic, the situation is even worse. They may have a state called reactive hypoglycemia. In this state, the pancreas emits too much insulin into the blood after you eat. A consequence of this is that too much glucose is absorbed, and the blood sugar level drops below normal. This makes you feel hungry, and you will be prone to overeating. Of course, carbs can cause weight gain if you eat too much of them. Carbs may be a bigger problem than other nutrients because so many favorite foods contain a lot of them. To just give an example, one 12 ounce can of sugar soda contains 37 grams of added sugar. All of those calories are likely to mess up your calorie intake limit. A ketogenic diet is a low-carb, high-fat diet that can help you lose weight, in addition to many other health benefits. It basically involves drastically reducing carbohydrate intake while increasing fat intake. Ketosis is a bodily process that everybody does on a daily basis. However, a low-carb, high-fat diet ramps up this process. When you eat carbs or excess amounts of protein, your body converts this into glucose. Glucose is the body's fuel. However, there is always an excess of glucose in your body under normal conditions. Glycogenesis: The glucose is converted to glycogen and stored in the liver and muscles. Only half of your daily energy can be stored as glycogen. Lipogenesis: If you are at your capacity for glycogen storage, then any more glucose will be converted into fat and stored. So, if your body has no more glucose or glycogen, then ketosis occurs. The body burns fat and creates molecules called ketones. Ketones are used as fuel. Simply said, when your body has no glucose to use, then it burns fat and uses it as a source of fuel. When fat is broken down by the liver, glycerol and fatty acids are emitted. The fatty acids are then broken down into acetoacetate by a process called ketogenesis. BHB - The muscles convert acetoacetate into BHB for use by the brain as fuel. Acetone - Most of this is excreted as waste. This gives your breath the smell that most people on a keto diet are familiar with. As time goes on, your body will expel less ketone bodies. This doesn't mean that the ketosis is slowing down. What is actually happening is that your brain is just more efficiently using the BHB as fuel. This is why people who keep a low carb diet for a long period of time do not test for deep levels of ketosis. Glucose is actually needed by the body in small amounts. However, you don't need to eat carbs to get it. The liver always will ensure that you have enough. In fact, around 56% of excess protein turns into glucose in the blood. This is why, on a low carb diet, you cannot consume too much protein. You do need a certain amount of protein consumption, though. Otherwise your muscle tissues will be burned to make glucose. When you starve yourself, this is actually what happens. This is not a healthy. When you start eating more fat and remove all of the carbs, then you stop having the blood sugar swings that people who eat a standard diet experience. These swings cause hunger that makes you consume even more carbs. Ketones suppress appetite because they control hunger and satiety hormones. Scientists have determined that ketones affect CCK, a hormone that makes you satisfied. Also, they affect ghrelin, another hormone that is involved with hunger. Your intestines emit CCK after you eat. CCK is a powerful regulator of how much you will eat. People who are injected with it will tend to eat less. 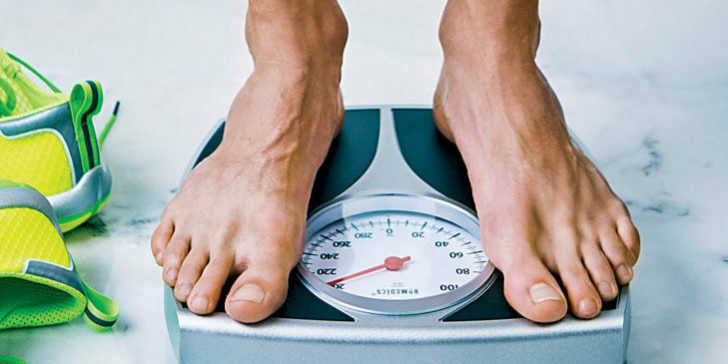 Your body emits less CCK if you lose weight. However, if you are in a state of ketosis, then you won't encounter this problem. Ketosis can actually help CCK levels return to normal. Ghrelin is a hormone that increases appetite. It is emitted by the stomach and intestines. The amount of this hormone peaks during fasting. When you eat, the hormone drops in your bloodstream. When people are injected with this hormone, it causes an increase in food intake. When you lose weight, then your ghrelin levels increase. However, this is not the case if you are in a state of ketosis. Ketosis completely suppresses this increase. In fact, if ketone levels are high enough, there is actually a decrease in the hormone. So, the science indicates that a ketogenic diet will actually help suppress your hunger. Another factor is that, when you a keep a ketogenic diet, you don't have to count calories. This means that you can achieve satiety by increasing your fat intake. Remember that you can only eat protein in modest amounts, though. Many people say that one of the positive things about adopting a ketogenic diet for losing weight is that you don't have to exercise too much to lose weight. Is this the truth? The truth is that you can lose weight on a ketogenic diet even if you don't add additional exercise to your regimen. If you are able to work out, then it is still an important idea. The speed with which you lose weight will increase if you exercise. This is even more so than on any other kind of diet. Since weight loss comes from fat in ketosis, all of what you burn in your workout is going to come from stored fat. If you are on a standard diet, it takes about twenty minutes of cardio before you start to burn fat. On a ketogenic diet, you start burning fat from the first moment. Also, since a ketogenic diet only burns fat and doesn't cause any burning of lean muscle, the results of any muscle building or toning exercise will be more dramatic. However, to build muscle, you will need to do exercise. The upshot of all of this is that the combination of a ketogenic diet with exercise is a very powerful duo. The truth is, as everyone knows, that exercise is important for your overall health anyways. If you go on any diet without exercise, you are only trimming the fat off of your body. The diet itself will not keep your heart and the rest of your organs in good condition. Therefore, the best advice is to do some combination of cardio and strength training to keep your body as a whole in great condition. The reason why so many people go on ketogenic diets and so many doctors recommend them is that ketogenic diets are a reasonable way to achieve permanent weight loss. As most of us know, the typical diet is not successful over the long term. A short-term solution does not translate into a long term one. After the typical diet ends, the dieter returns to their bad old habits. They gain the weight back that they lost on the diet. With a ketogenic diet, you can remain on the plan permanently with some modifications. Also, since you are not starving on this diet, you will not be constantly tempted to break the diet. As has been stated earlier, the ketogenic diet actually suppresses appetite. This creates a situation where you will be less likely to break the diet because you always feel satiated. Finally, the combination of the ketogenic diet and exercise is even more powerful than when exercise is combined with an ordinary diet. You will start burning fat from the moment that you start exercising. For all these reasons, the ketogenic diet can be strongly recommended as a permanent solution to your weight gain issues.